We’ve been working with businesses to find ways to build onto the strong foundation of Promoted Video with a new max. width video format that we’re beginning to test with advertisers. With Promoted Video at max. width, your video stands out to drive impact and brand awareness. 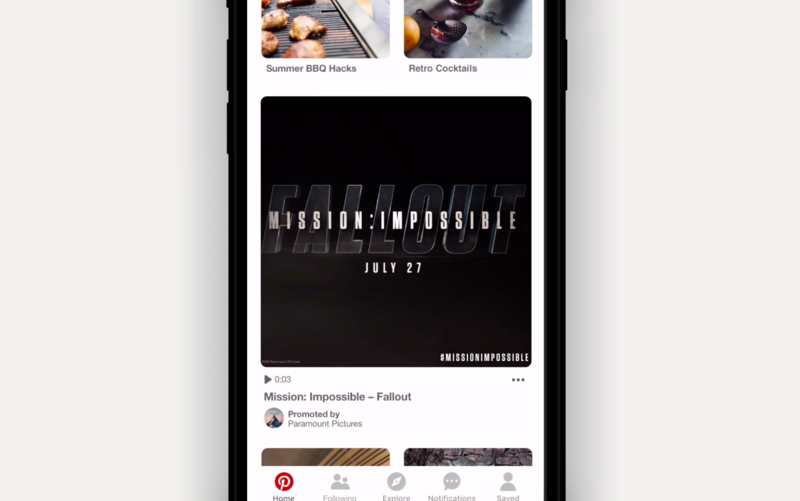 The format is easy to spot; it spans wider than our standard format in feeds and in search on mobile, so people can sit back and watch your story. We’re testing the new video format with advertisers such as adidas, Kohl’s, American Express, Tropicana, Chevrolet, P&G, and Paramount Pictures this summer. The format is available in both 16:9 and 1:1 aspect ratios so brands can try new and existing creative. 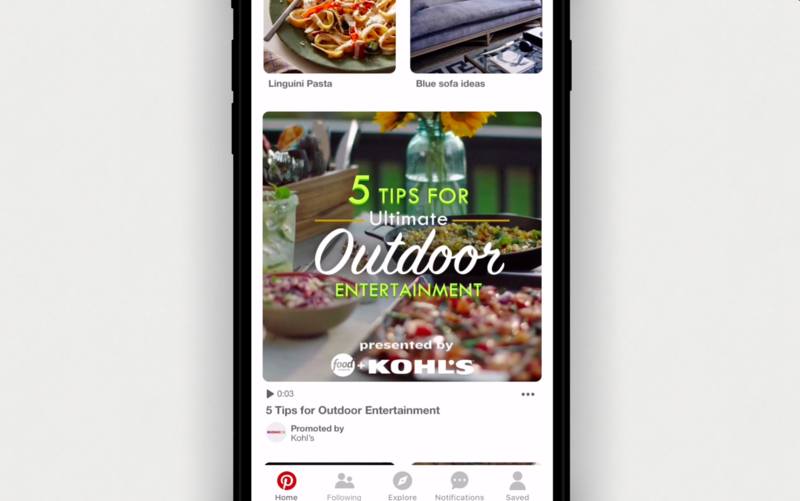 In a recent study, we’ve found that both brand storytelling and instructional videos (like how-tos or demos) resonate with Pinners3, making it easy for brands to share different types of content on Pinterest. Brands have already been successful using Promoted Video to drive brand favorability and purchase intent. Promoted Video will soon be available in the new max. width format alongside the current standard format. Look for this new option in your Ads Manager later this year. Or if you’ve been working with a Pinterest sales rep or Pinterest Marketing Partner, you can reach out now to start planning your fall video campaigns.